Two communities brought together by tragedy joined together Monday in an effort to create change. 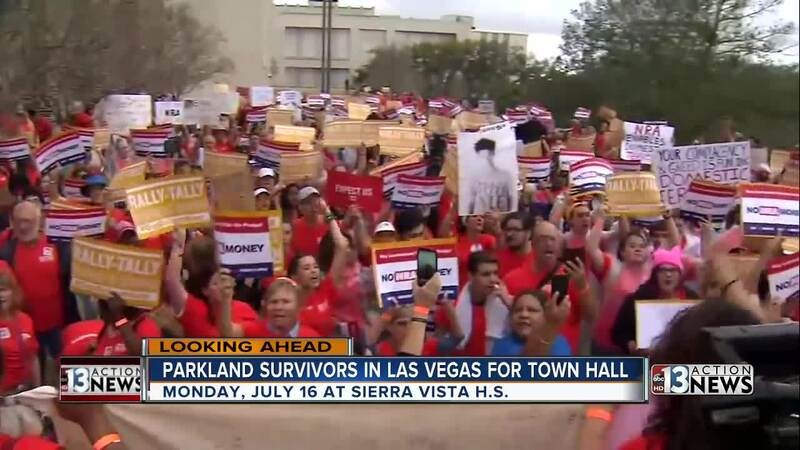 Groups of activists and survivors from Las Vegas and Parkland spoke in panels at a Town Hall meeting Monday. 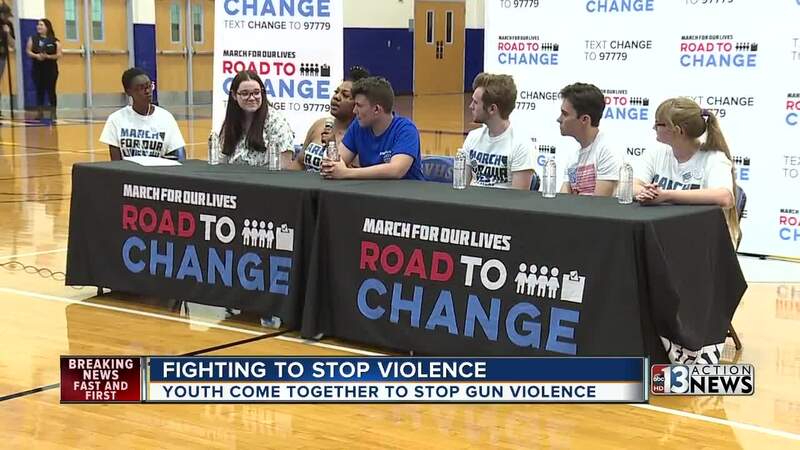 The group of Parkland survivors are on a two-month long bus tour where they will stop in 50 cities in 20 states to create political change. Their stop here in Las Vegas was emotional for many since their tragedy happened so close to our mass shooting just a few months prior. "I've been pushing this fight because I'm a survivor of the Marjory Stoneman Douglas shooting," said Ryan Deitsch. "I have a sister who also attends the school. It was her birthday that day." Deitsch sums up the movement by saying, "We can no longer be apathetic. We have to care about one another. We have to actually look at one another and try to sympathize and empathize with our fellow man because issues like gun violence affect all of us anywhere, no matter where you are, no matter what you are doing." 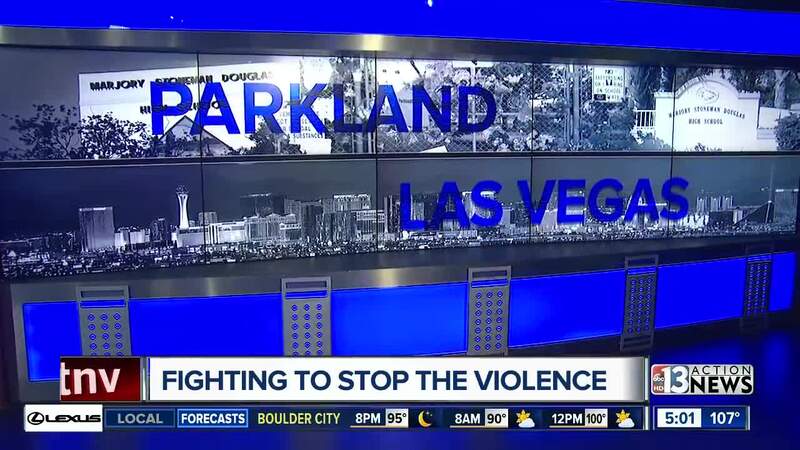 Leah Tuckman is a Route 91 survivor who has been active in changing gun laws since 1 October. She was present in Parkland almost immediately after their shooting happened. She was present for Monday's events. "These kids are going to do what we've been fighting to do since October and they are getting it done," she said. The day started with voter education and voter registration in Sunset Park. That was followed by a mural presentation by Manny Oliver who lost his son in the Parkland shooting. Since his son's death, he's made it his priority to create change. It was an emotional presentation while Oliver painted the mural. He hammered into the board to represent the loss of life of the 17 students and teachers. He also had messages aimed at the 58 lost on 1 October. The mural encompassed both tragedies into one piece of art that sent the same message: end gun violence. Later in the evening, a Town Hall was held at Sierra Vista High School. The event gave an opportunity for gun violence survivors to share their stories and talk about comprehensive legislation for gun violence prevention. 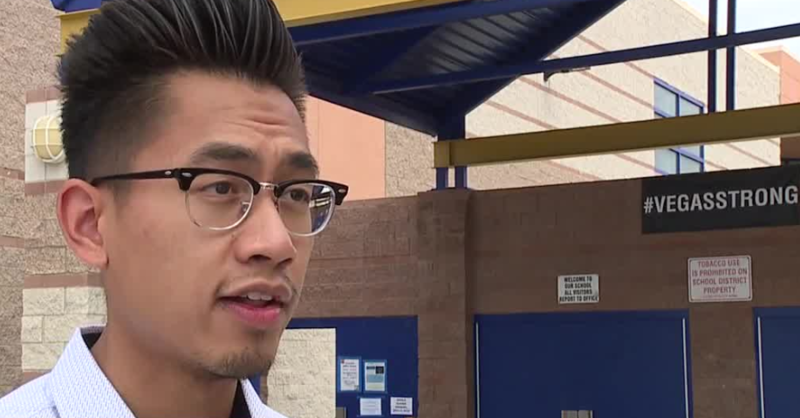 Survivors of the Route 91 Harvest Festival shooting were also in attendance.